Janne Pylväs is CEO at Myontec, the company behind the intelligent sportswear used by sports teams and professional athletes around the world. Pylväs has been instrumental in working with the Myontec team to bring its best-of-breed EMG monitoring gadget, Mbody to professional users in occupational health and elite sport. Previous to his position with Myontec, Pylväs held several different positions with software company QPR Software Plc. including: Director of Strategic Partnerships, General Director and Business Development Director. 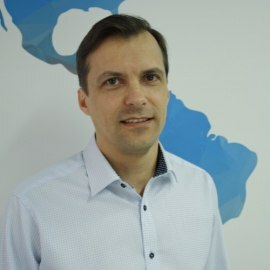 Prior to working for QPR Software, Pylväs was the Head of Channel Sales for the Finland and Baltic area, and the Senior Partner Manager, at the leading telco in Nordics, TeliaSonera. Pylväs was creating the first time ever mobile and real time monitoring performance solution for cross-country skiing competition in 2006. Pylväs holds a Master of Science degree from the University of Jyväskylä. In his spare time Pylväs enjoys spending time with his kids and sports. He is been holding different positions of responsibility in Finnish Cross Country Skiing Association. Other positions of responsibility includes working for FIS (International Ski Federation) as jury member (Technical Delegate) in World Cup and FIS competitions and Homologation Inspector for competition venues. Currently he is designing Olympic, World Championship and WorldCup level competition venues for cross country skiing.